Update: Please note only Starling cards may be used on the Indonesian store, Revolut and N26 cards are now permanently blocked. PSN top up cards may be purchased from a number of stores - please PM for any advice or ask in thread. Thanks very much, my sub is just about to expire so I'll give this a go. How to get this starling cards please? You don't need a Starling card just to do the sign up though do you? Are you referring to a U.K. or Indo sub that’s about to expire? It's my UK one that's about to expire, so i'll follow those steps to set up an Indo one and switch over to that. Thanks for the SeaGM tip, I've already got an account with them so I'll use that. It's my UK one that's about to expire, so i'll follow those steps to set …It's my UK one that's about to expire, so i'll follow those steps to set up an Indo one and switch over to that.Thanks for the SeaGM tip, I've already got an account with them so I'll use that. Ok, just bear in mind (if you weren't aware already) it can't be used to extend a UK sub, that's if you were looking to retain free UK games etc. This would help you get some info. I would say get both starling n monzo . Can the fifa points be used on a UK account? So, could I just buy a UK PSN top up voucher for £20 and use that on the Indonesian PSN? So, could I just buy a UK PSN top up voucher for £20 and use that on the …So, could I just buy a UK PSN top up voucher for £20 and use that on the Indonesian PSN? No. Local currency has to be used. The Starling card allows you to easily convert Sterling to Indonesian Rupiah which you can then top up the IND account with. Alternatively you can buy IND credit from OffGamers or SeaGM. Excessive fannying around, but ok I guess for new members. Rather useless for existing UK members though, as all PS+ games would still be lost. Do you have a link to access the website? unless you have a debit card from Indonesia, this way will not work. I created a new account and done all the way to here, at the end when asking the details on the cars says indonesia and is no way to change it. [Image] unless you have a debit card from Indonesia, this way will not …[Image] unless you have a debit card from Indonesia, this way will not work. I created a new account and done all the way to here, at the end when asking the details on the cars says indonesia and is no way to change it. A UK Starling card, as stated in the OP, works just fine. You also need to add an Indonesian account address on PSN, not your U.K. address. Are you able to use the PS+ games you've already claimed on your UK account while using a foreign sub? Are you able to use the PS+ games you've already claimed on your UK …Are you able to use the PS+ games you've already claimed on your UK account while using a foreign sub? Firstly thanks for the post op. I created a starling card but when I get to stage on the Indonesia psn site it asks me for an address after the entry of the starling card details. On this page the country is fixed to Indonesia as it was for someone else. This cannot be changed. Even when I use an Indonesian address in here and fill the fields as I did to create my psn network Indonesian account. It did not let me continue and doesn't accept the address. Can you help ? Okay so I have an update. I managed to add the address. It was because I wasn't completing all the address lines inside the address section the submit button wasn't enabling. I just wanted to clarify when you say setup the new indo account on the console. Do you mean just using create new user ? 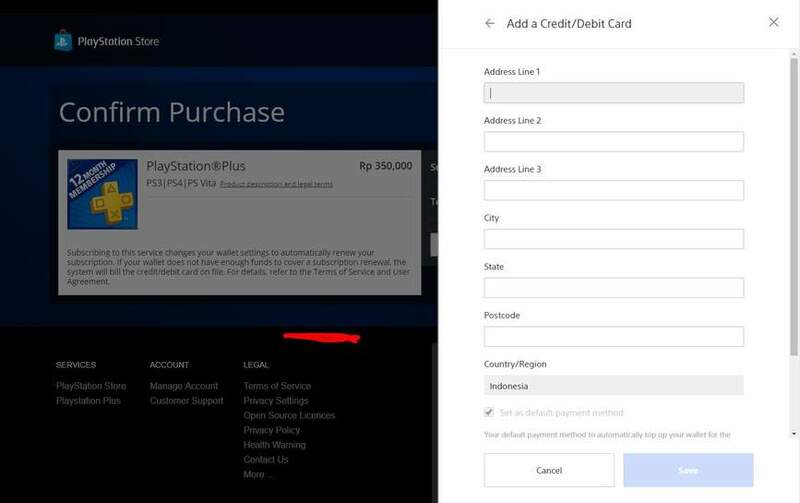 Will this automatically pick up the subscription purchased just from using the psn account indonesian email address which we created ? 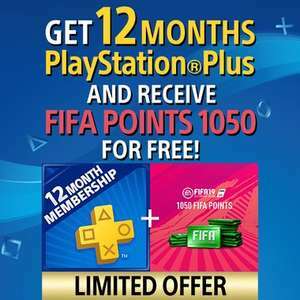 I tried this you see and I got an option for psn plus to buy 3 months etc I thought it will automatically pick up the 12 months. So instead I clicked the 12 months but it is just hanging on a loading screen. A UK Starling card, as stated in the OP, works just fine. You also need to …A UK Starling card, as stated in the OP, works just fine. You also need to add an Indonesian account address on PSN, not your U.K. address. I put a random Indonesia address when doing the account, this is the payment page, you should need to put in the billing address for the card & that needs to be your UK address where the Starling card is registered to. That said I put my UK address with just country as Indonesia & it has gone through fine. Just done this, works well upto now! When going to the Store it says: "It may be unavailable or the address may be incorrect. 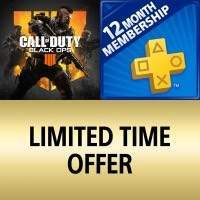 Select [Home] to continue browsing PlayStation™Store." Does this mean the offer is done? When going to the Store it says: "It may be unavailable or the address may …When going to the Store it says: "It may be unavailable or the address may be incorrect. Select [Home] to continue browsing PlayStation™Store. "Does this mean the offer is done? Only the Call of Duty bundle offer is available, I'm going to refresh the …Only the Call of Duty bundle offer is available, I'm going to refresh the deal later.